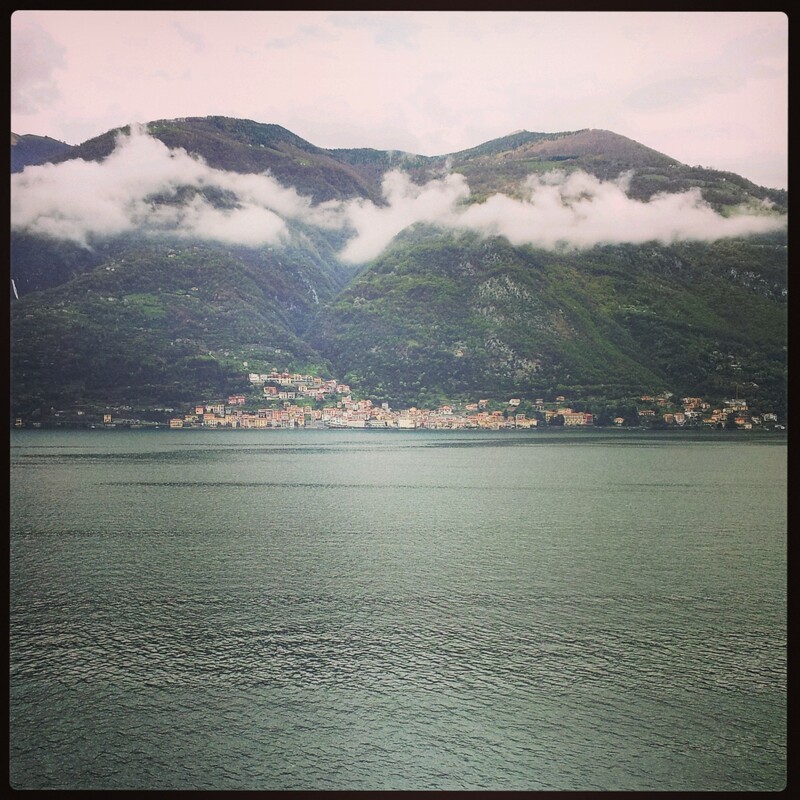 I am back from Italy – have thoroughly had enough of Italy for the time being! I must admit to feeling comfortable and very happy in my French habitat. Italy was an alien land with far too many carbs – my jeans are not thanking me for that right now! Last week, something interesting happened to me while I was out at a cafe with my children. I spoke French without first having to rehearse the lines in my head! I spoke French without scrunching up my face as I tried to remember vocabulary! The words just tumbled out of my mouth with as much ease as they do when I speak English. What I said was not difficult, but I still stood there in shock, blinking and feeling rather surprised. Then I felt kind of proud and pleased, more sure that perhaps I will be able to speak more fluently sooner than I thought was possible. I have been watching my favourite TV shows, first an episode in English and then I replay it immediately after in French (with English subtitles). I think that this helps me to feel more confident, as I the number of words I am comprehending is going up each time I watch! Now, for the rehearsal! Au revoir! I’m entitling this post ‘Giving Thanks’ because I’m sitting on my French terrace, listening to a miriad of birds singing and looking out over my beautiful view of the Provencale countryside and feeling amazing. It’s 14 degrees celcius and my hands are a wee bit cold typing this out, but the sky is blue and bright, so I know I’m in for a beautiful day! Life is good. I am thankful for this opportunity to live here and experience what I can. 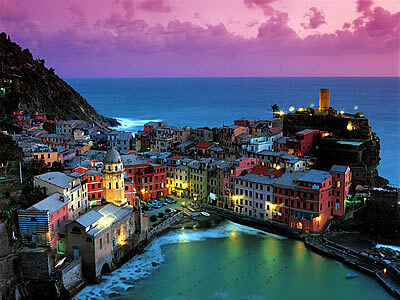 Tomorrow morning, it’s back to Italy again – this time for 4 days in the Cinque Terre and 3 days in Florence. By the end of this week coming, I will have seen the Leaning Tower of Pisa and Michaelangelo’s famous statue, David – you know, the 500 year old iconic masterpiece! I’m bubbling with excitement! I promise to take lots of photos! And I will try to update this blog before I get to Florence. 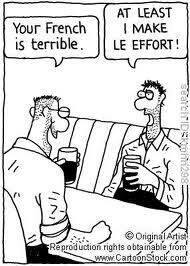 Not being very French this week, but must keep up my study of the French language – I feel my French is worse than it was one month ago. Not sure how that happened! I am sorry that it’s been a couple of weeks since I have made a blog post. School holidays happened and after a busy first week here at home, the second week was spent in Lake Como, Northern Italy! This was the first time I’ve been to Italy and, to my surprise, the Italian border is only a 2 hour drive from my house! 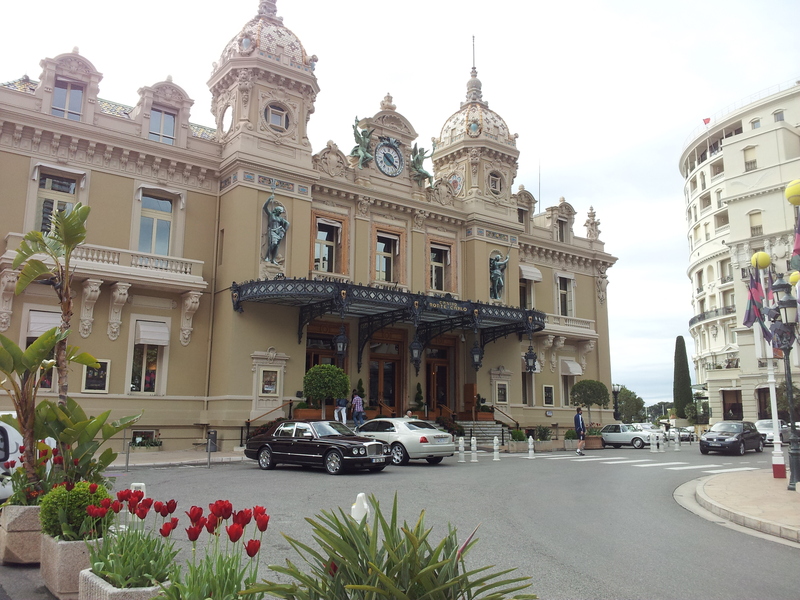 Along the way, I stopped in Monaco to stretch my legs and gaze upon the numerous Ferraris and other crazily-priced cars that lined the streets near the casino. I have to be honest, I felt like a massive dag walking around in my travelling clothes, no make up, etc. I don’t think I would be keen to go back unless I had a hefty bank balance to help me feel like a local! I spent about an hour in Monaco and pressed on towards the Italian border. I should mention at this point that the usual speed limit on the ‘autoroutes’ (read ‘motorway’) in France and Italy is 130km/hr. I usually drive a little over the limit and I’ll admit to glancing down to see the numbers creeping up to 150 at times…. It’s easy to get a heavy foot around here! The most famous village on Lake Como is Bellagio. At certain times of year, Bellagio is said to host the rich and famous – walking around, I couldn’t help wondering which of the magnificent villas belonged to George Clooney! I think I found it 😉 Bellagio is characterised by quaint cobblestoned alleys that climb up from the lakeside, lined with boutiques, restaurants and art galleries. The street along the top was mostly for the gourmands among us, with delicious delis and cheese shops with fresh pasta and other scrumptious goodies on display. It was on this street that I bought my only reminder of Lake Como – an Italian coffee pot! I thought it would go nicely with the little expresso cups I bought in Monaco. 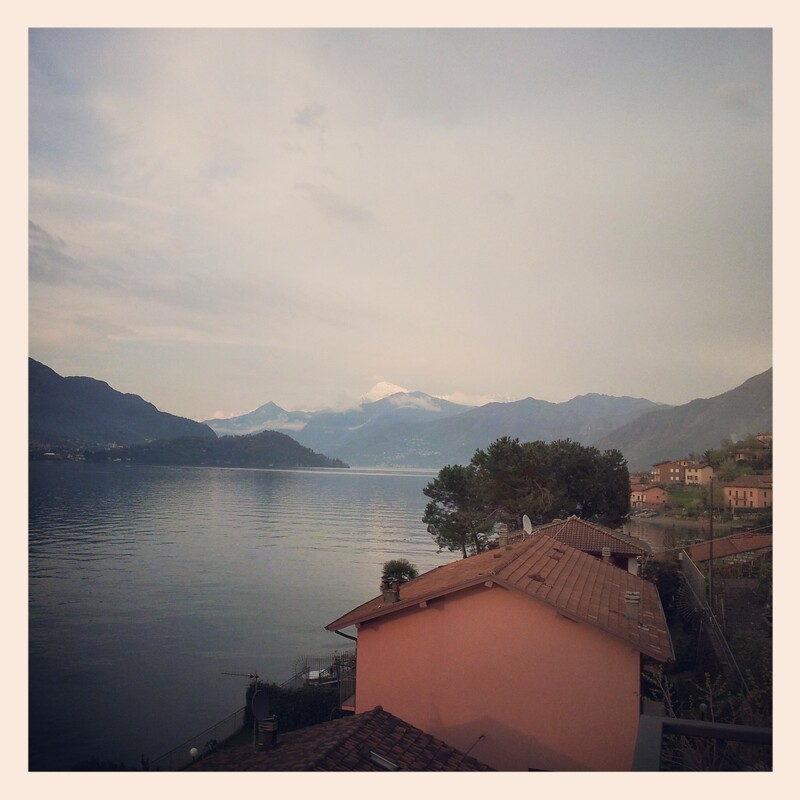 Although Lake Como was incredibly beautiful, I wouldn’t recommend people with young children travel there. Nor would I recommend it to people who suffer from car sickness or those who don’t have nerves of steel when driving!! The windy roads are incredibly skinny in sections and Italian drivers are FAST. I survived many drives up and down the side of the lake without scratching my car once – a miracle, now that I think about it! I’ll blog about going over the Swiss border another time, as it was a bit of an adventure and probably needs it’s own post! Ciao! A Euro For Your Thoughts! As this blog-baby grows, there is something I need to know from you – what is it that you are most wanting to learn about the French? I want some fodder for my writings and I want to make sure that what I write is of interest to you! Think of me as the French extension of yourself and tell me what it is you would seek to learn, do or see in my beautiful new country! Today is simply perfect – the sun is shining and there are sweet twitterings ringing from the trees. Most importantly, the maddening Mistral is not blowing a gale on my terrace!! So this morning, instead of jogging in the park, I texted my girlfriends and suggested a French breakfast in the middle of town instead. There were no arguments to go running, trust me! So we wandered into town and I felt a wash of happiness and satisfaction as I walked into the sunny street. There was a market all the way along the main Cours of town, but we by-passed this and soon found three more markets tucked back further in the streets. One was full of billowing clothing, another with bric-a-brac of all kinds, another of fruits, vegetables and delicious madeleines, and yet another of flowers! We chose a table amongst the flowers and sat, sipping black coffee and talked about how we don’t miss home at all! In fact, we are so charmed by our current lifestyles that we can’t imagine going home. Not yet. The views from my cafe table this morning. Listen here, my lovelies! I can almost guarantee you will adore what you hear, just as I did! I’m currently listening while typing this post and I must say – I’m feeling more French already! Totally in love with it, oh la la…. A few weeks ago, I was sitting in a lovely park with some French friends, eating lunch and enjoying the early Spring feeling. The topic of conversation turned to what I was going to do with myself whilst living in France. “Umm, learn to speak French?” That was my hesitant answer, as I honestly haven’t got a plan and blurted out the first thing that came to mind – what I needed to do was learn to speak the language. But what was it that I actually wanted to achieve here? What could I do that I could take away from this experience when I returned to my homeland? I laughed at this idea, because I, for one, have a real problem with self-restraint around food! And I have a feeling that being in a kitchen with French pastry is a recipe for disaster where my waist is concerned! So I passed it off. Maybe, I said. But then last week, another of my lovely friends tells me that she wants to find the perfect madeleine recipe. A madeleine is a classic fluted cake, dainty and elegant. Often flavoured with lemon and containing little surprises, such as chocolate chips. As I am always one for a challenge, I decided I would embark upon this mission with her (and I’ve never even tasted a madeleine before!! Ha!). But the curiosity within me was aroused and before long, I was the owner of a few shiny new madeleine trays and some other little gadgets for the kitchen and I was away! A few batches later, all with different recipes, I am finding myself LOVING baking in my French kitchen. Perhaps my French friends were onto something when they suggested learning the art of pastry making? What do you think? 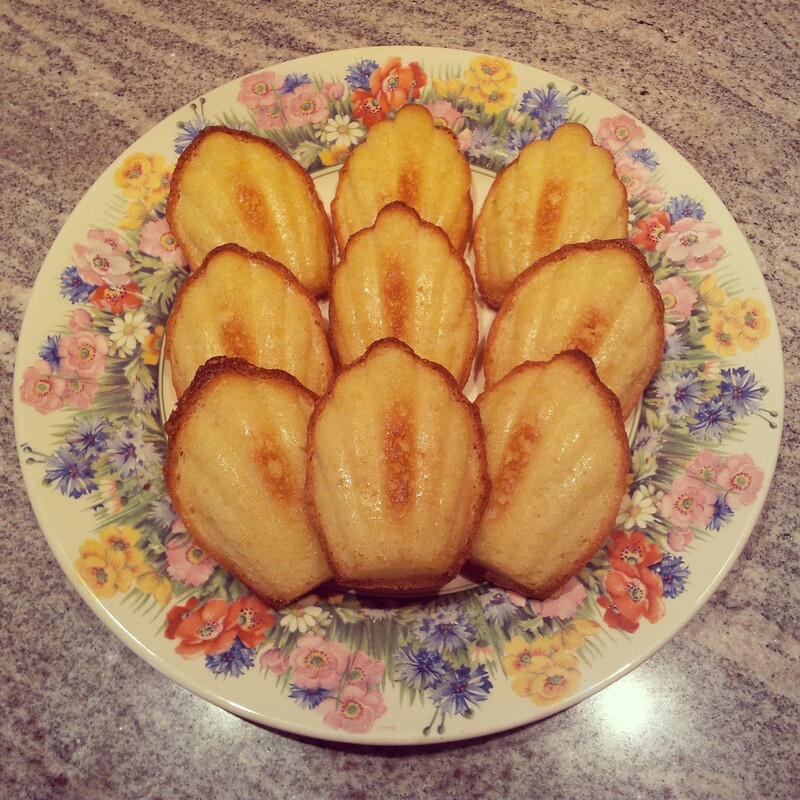 First ever batch of madeleines! A few people have said I should blog out my French adventures – okay, here you go. I’m blogging! I’m not French, but I’m living in France and it’s allllll new. So here you can read about my awkward lessons in learning to be a little bit French – eating, drinking, my attempts at speaking French and my general adventures around countryside!